October 21, 2015 WPM to co-champion MDG Forum "3D Printing: Past, Present and Future"
August, 2013 Published comments regarding the "Accelerating Pricing Pressures . . ."
December 2, 2011 William McIlhargey to participate with Materialise at the 39th Annual Meeting of the New England Hand Society in Sturbridge, MA. October 3, 2011 William McIlhargey to participate with Synthes-Anspach at the CSN Meeting in Washington, DC. September 8, 2011 William McIlhargey will be participating with Materialise at the ASSH Meeting in Las Vegas, NV. June 15, 2011 William McIlhargey to participate with Materialise at the CAOS Meeting in London, England. June 5, 2011 William McIlhargey to attend the 11th Annual New Technology in Upper Extremity Surgery at Cleveland Clinic in Cleveland, OH. April 11, 2011 William McIlhargey to participate with Synthes-Anspach at the AANS in Denver, CO.
April 6, 2011 William McIlhargey to attend Biomed Boston 2011 in Boston, MA. February 16, 2011 William McIlhargey to participate with Materialise at the AAOS Meeting and the following Specialty Day in San Diego, CA. October 7, 2010 William McIlhargey will be participating with Materialise at the ASSH Annual Meeting in Boston, MA. 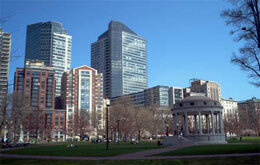 September 26, 2010 William McIlhargey to participate with Anspach at the AAO-HNSF Meeting in Boston, MA. June 16, 2010 William McIlhargey to attend OMTEC 2010 in Chicago, IL. March 1, 2009 William McIlhargey to attend the FAH Public Policy Conference and Business Exposition in Washington, D.C.